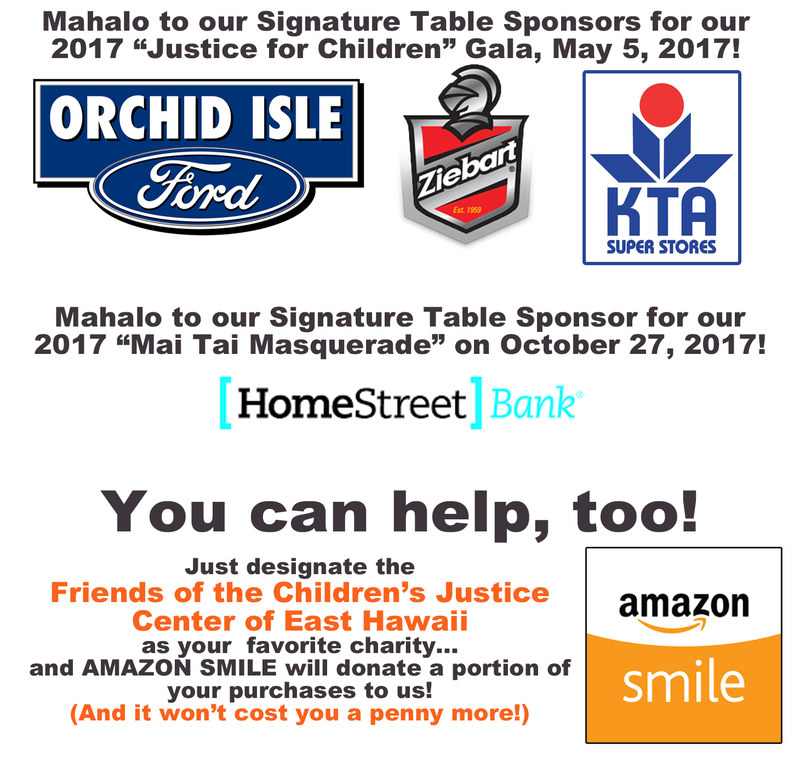 The Friends of the Children's Justice Center of East Hawaii is a non-profit organization dedicated to helping abused children in our community. Read about some of our latest success stories. 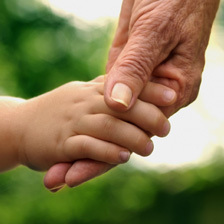 Everybody loves a Happy Ending…especially the kids! 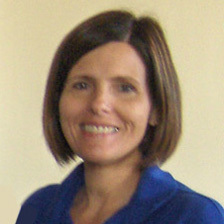 The Friends are pleased to have Robin on board, she brings over 20 years of Human Services job experience to our office. 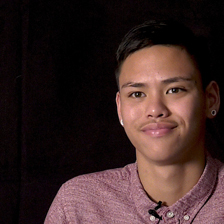 Young adults who’ve aged out of the foster care system share their stories about how The Friends of the Children’s Justice Center of East Hawaii helped them during their difficult childhoods. We couldn’t do it without the help of our Friends! Orchid Isle Ford in conjunction with Ziebart and KTA SuperStores headlined our Signature Sponsor Tables. A grand time was had by all and the FRIENDS were proud of such generous community support. Couldn’t do it without our friends! And then later in the year, Home Street Bank joined the Friends as a Signature Sponsor for our first annual “Mai Tai Masquerade”! So many people support the FRIENDS with contributions large and small. We couldn’t do it without you! 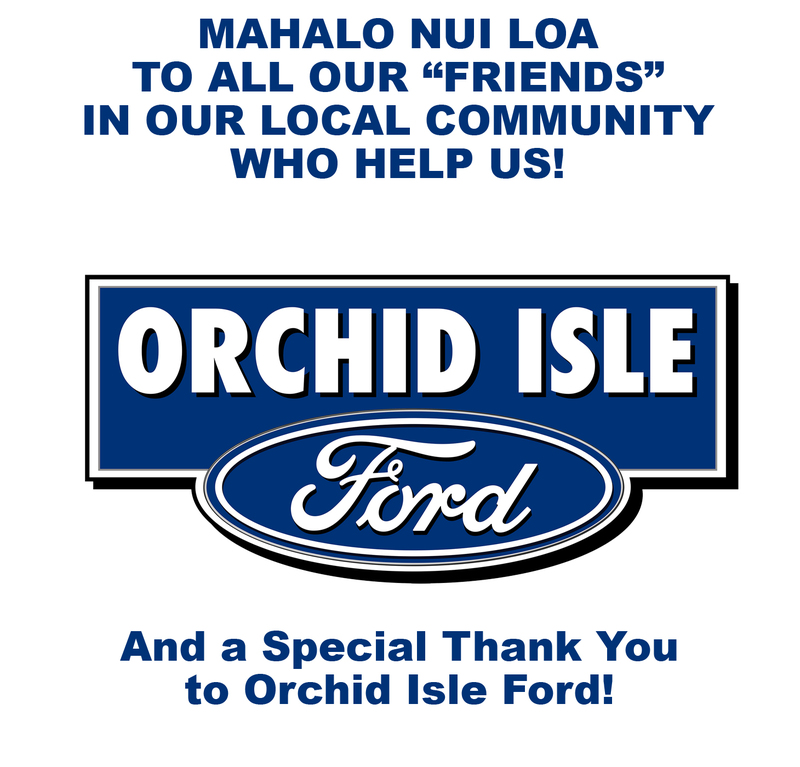 We’d like to take this time to thank Joe Hanley at Orchid Isle Ford who was a signature sponsor at our second annual Gala Dinner. Joe is not only a supporter, he was our non-profit’s first Board President and shepherded us from a group of well meaning business people into our fully recognized 501(c)(3) status. Thank you, Joe and Orchid Isle Ford! 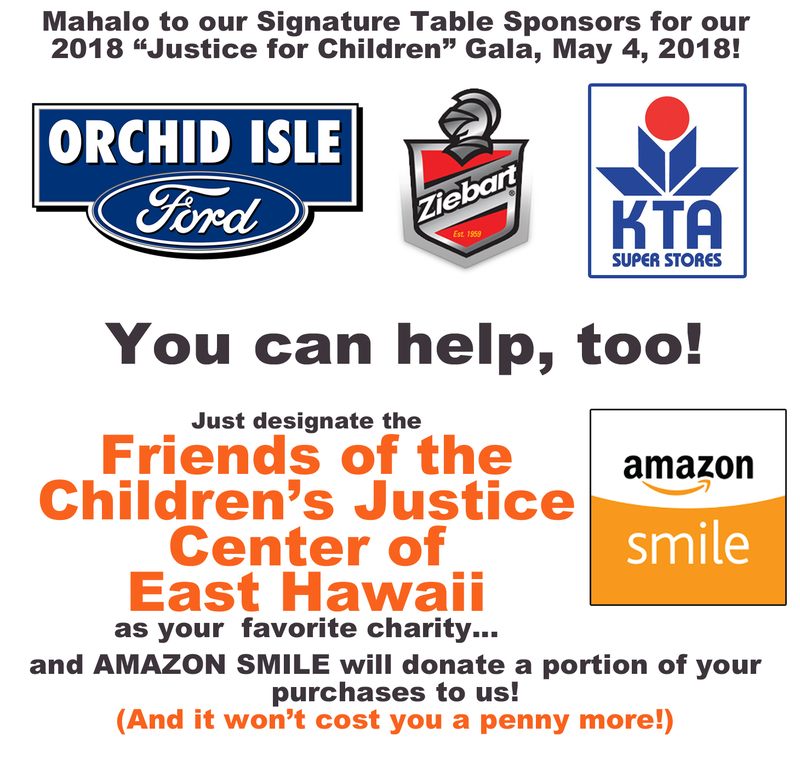 The Children’s Justice Center of East Hawaii and the FRIENDS are housed in an older craftsman style house that can need some maintenance and cleaning from time to time. 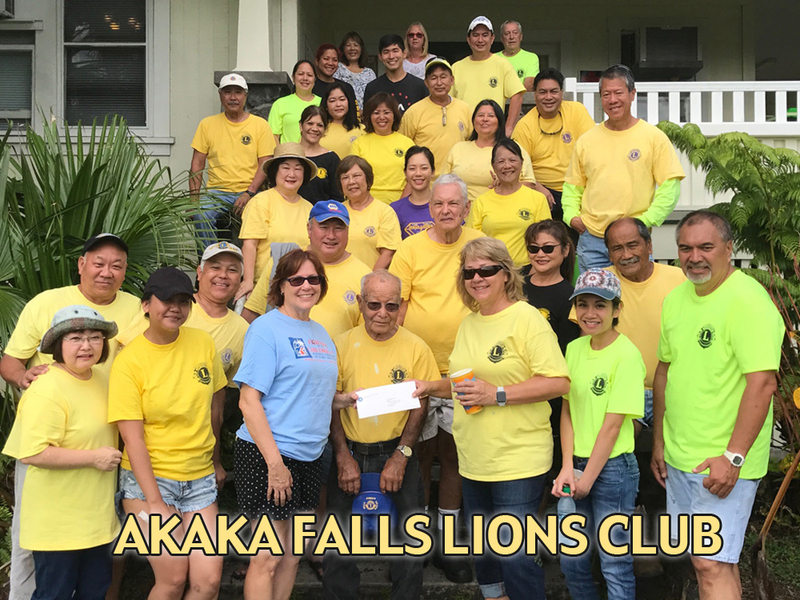 The Akaka Falls Lions Club (another honorée of our 2019 Gala) have helped clean, paint, repair and “spruce up” the Center over many years. 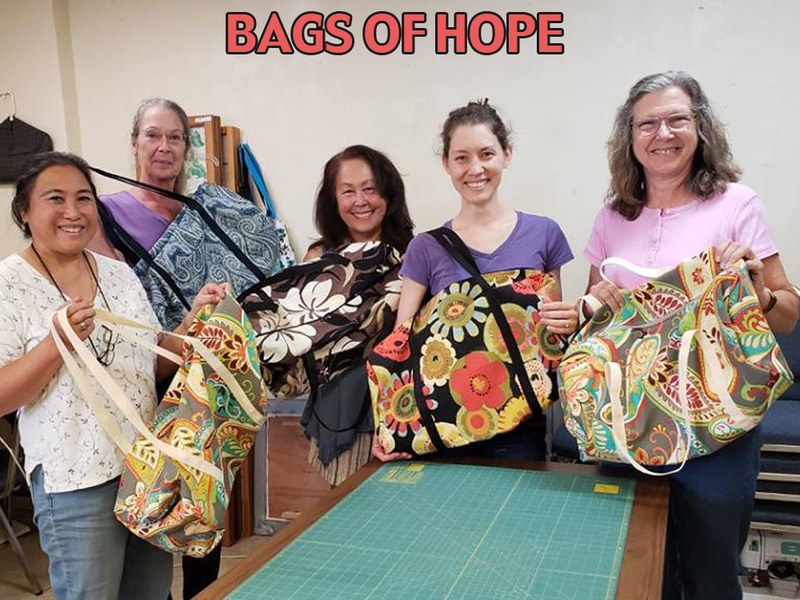 The FRIENDS are thrilled by Bill Miller of Discount Fabric Warehouse’s project “BAGS OF HOPE”.When Bill learned that many children of abuse who are removed from their living environments often put their meager belongings in a large black trash bag. (Bill is one of our honorées of our 2019 Gala). For our fourth year, the Friends are honoring “friends” of the Friends. Tickets are now available right here. Please click on BUY TICKETS at the bottom of this post. 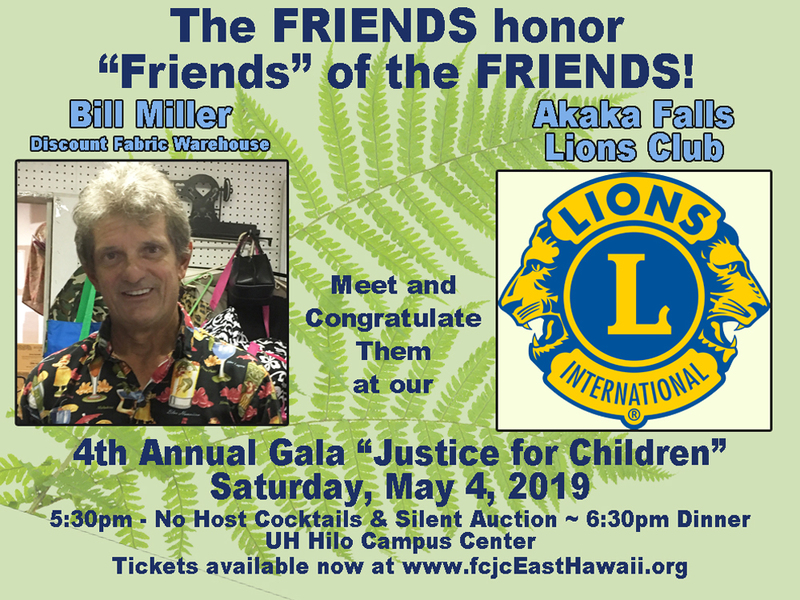 This year we honor Bill Miller of Discount Fabric Warehouse and the Akaka Falls Lions Club. This year the Gala will be at the UH Hilo Campus Center, with No Host cocktails and Silent Auction beginning at 5:30pm followed by dinner and program at 6:30pm.